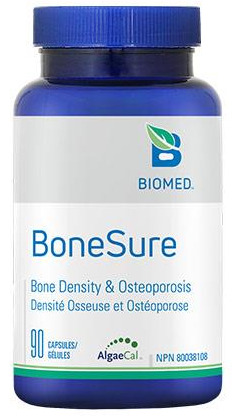 BoneSure is a combination of bone building vitamins and minerals targeted for reversing bone loss and have been clinically proven to increase bone mineral density. BoneSure is a plant-based, nutrient rich complete mineral complex with naturally occurring calcium, magnesium, boron, silica and more than 70 other trace minerals and phyto-nutrients. The plant-base sourced calcium in Bonesure has high solubility and bioavailability, thus has greater absorption in the body. The plant-sourced calcium is certified organic (USDA/IFOAM) and derived from unique marine algae (Algas calcareous). BoneSure (AlgaeCal®) is the only certified organic calcium in the world. Take two capsules two times a day or as directed by a health care practitioner. 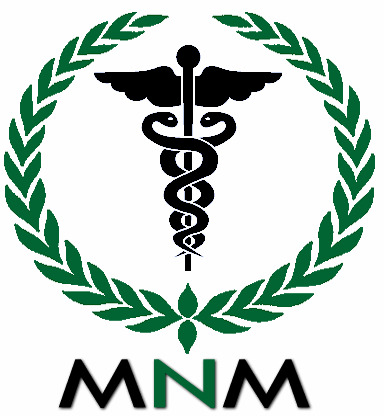 MNM Notes: AlgaeCal® is one of the best plant based calciums on the market today.